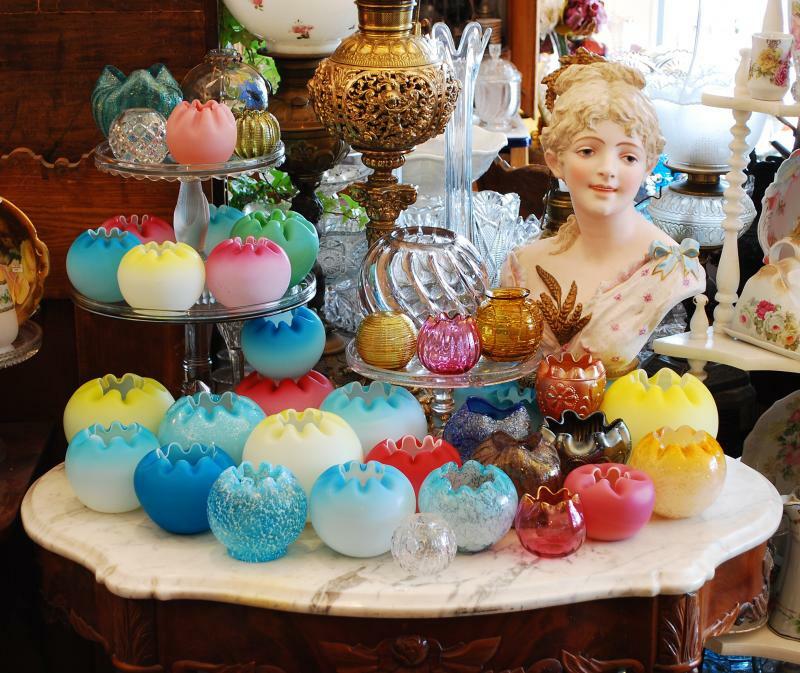 ANTIQUE GLASS ROSE BOWLS - Late nineteenth and early twentieth century rose bowls. 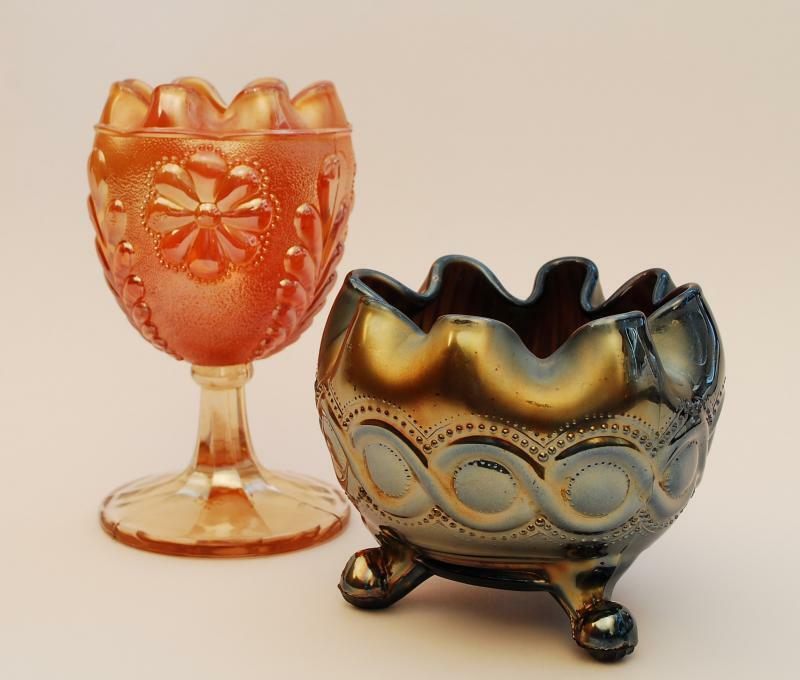 CARNIVAL GLASS ROSE BOWLS - Northwood "Daisy and Plume" stemmed rose bowl and Northwood "Beaded Cable" footed rose bowl c.1910. 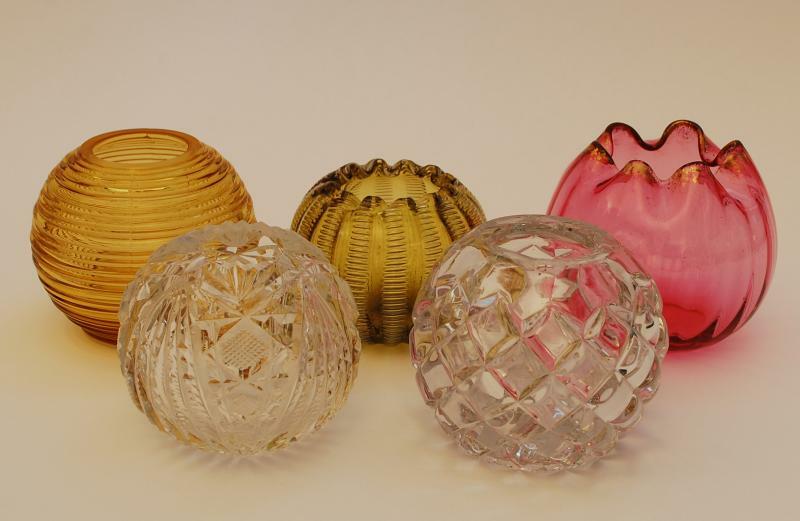 MINIATURE ROSE BOWLS - "Reeded" Depression glass c. 1930, brilliant cut glass c.1890, Stevens and Williams art glass c.1885, "Quilted Diamond" pressed glass c.1880 and blown cranberry glass c.1910. 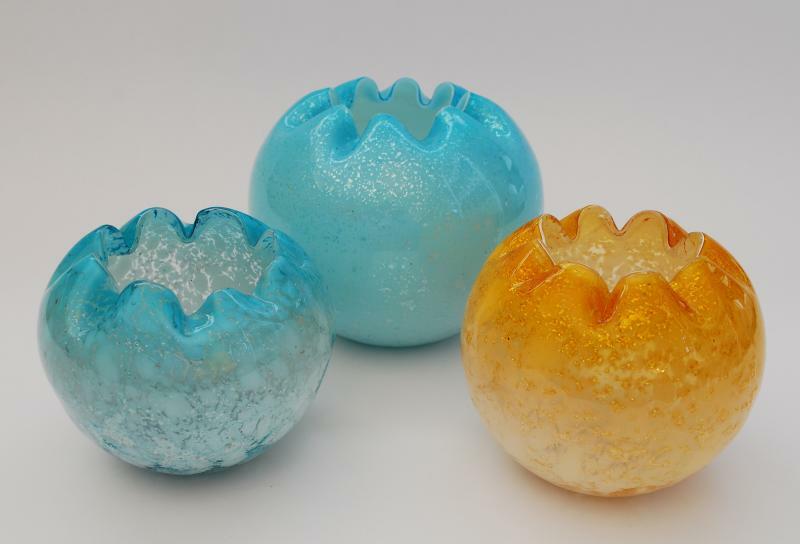 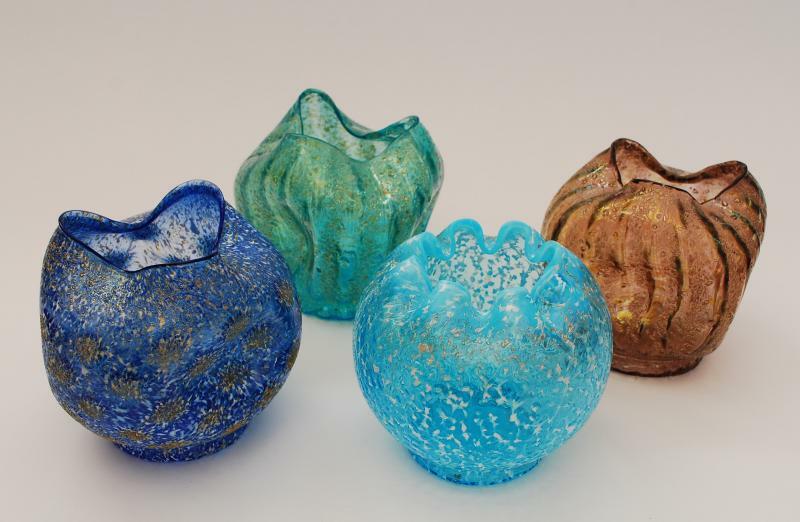 SPANGLE GLASS ROSE BOWLS c.1895. 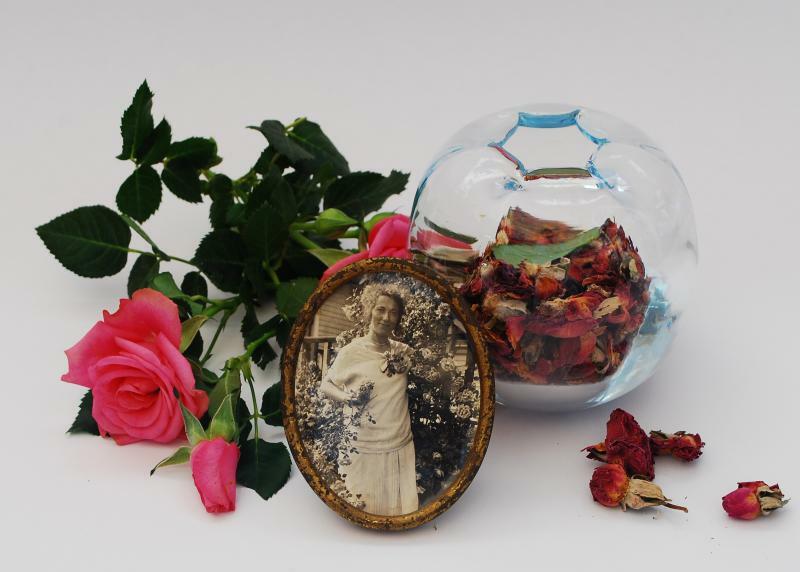 CRYSTAL ROSE BOWL, c.1930, AND A FRAMED PHOTO OF A ROSE LOVER, DATED 1929. 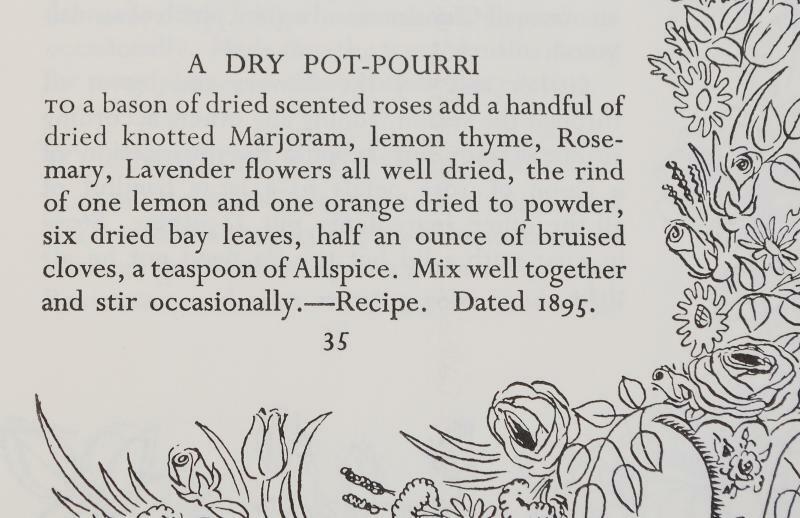 1895 ROSE POT-POURRI RECIPE FROM "ROSE RECIPES FROM OLDEN TIMES" - By Eleanor Sinclair Rohde, Dover Publications. 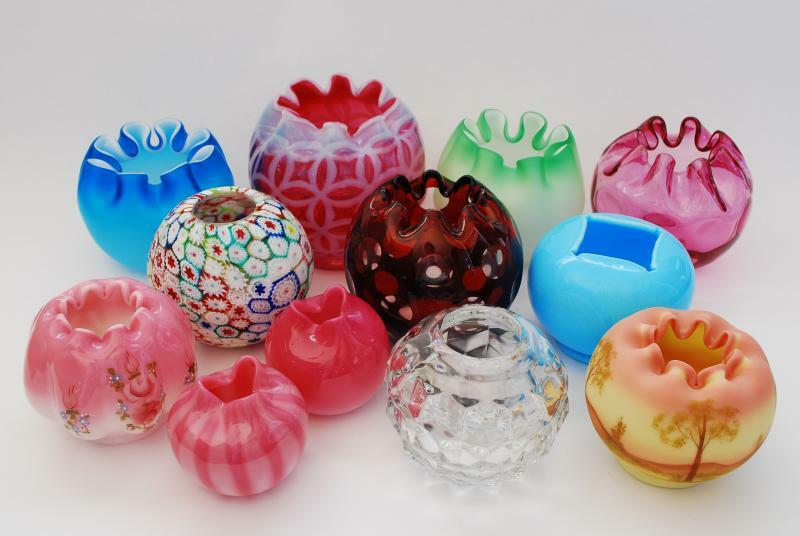 TWENTIETH CENTURY ROSE BOWLS - Fostoria, Fenton, Duncan, Intaglio, Millefiori, handcut crystal and others.